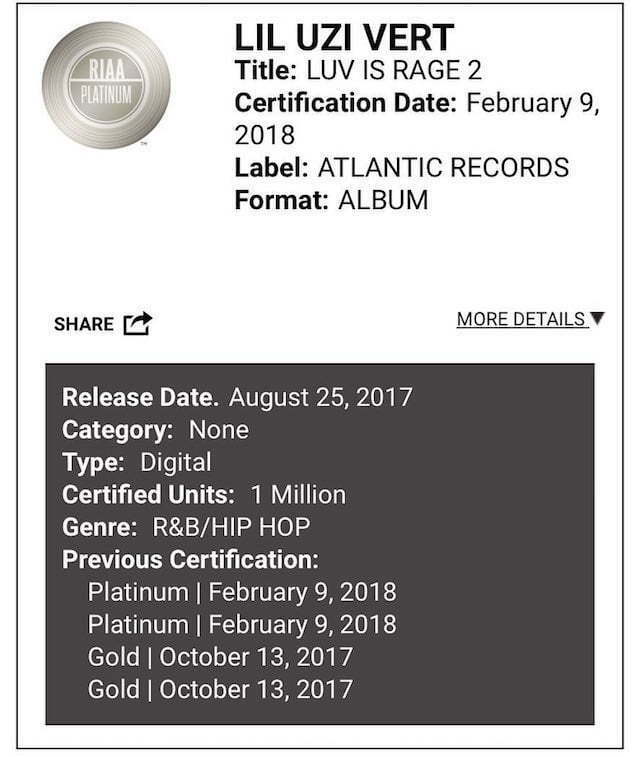 Lil Uzi Vert’s album Luv Is Rage 2 is officially platinum. The Recording Industry Association of America has confirmed that Lil Uzi Vert’s debut album Luv Is Rage 2 sold more than a million copies in the United States. The album was released on August 25, 2017, and received its gold certification in October last year. Five months later, on February 9th, the project crossed the million mark in sales driven by strong streaming numbers on Apple Music and Spotify. The 16-track album debut at No. 1 on the Billboard 200 chart after selling 135,000 album-equivalent units with 28,000 being pure album sales. The project features guest appearances from Pharrell Williams, The Weeknd, and Oh Wonder. LIR2 also features the single “XO Tour Llif3” which is now certified 7x platinum by the RIAA. Last year was phenomenal for Lil Uzi Vert from touring with The Weeknd to having one of the biggest singles on the airwaves. Last month, he told a fan on Twitter that this year he will be going back to his roots or what he calls his raw talent. His response came after the fan told him that he like his old stuff a lot more than his new stuff. 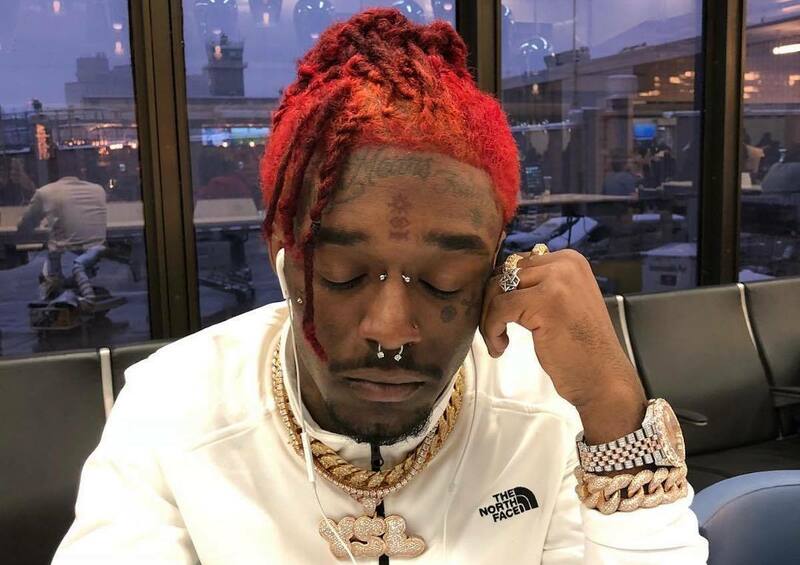 Uzi London says he is already working on his sophomore album but there is no release date or title yet.